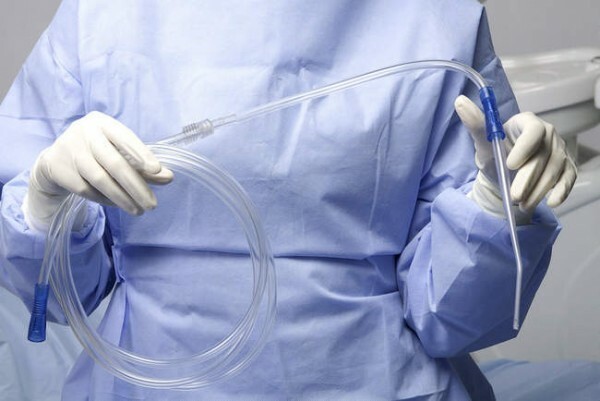 The surgical aspirator with a Yankauer suction tip is suitable for all surgical procedures where an accurate aspiration is needed in order to provide unimpaired visibility of the operation field. The special nozzles that are placed around the apical perimeter of the suction tip avoid any accidental suction of delicate tissue during gingivoplasty. The aspirator is made of medical grade transparent PVC, so it won’t absorb the light of shadow-free operating lamps and obscure the surgical site. It is supplied with bend-resistant flexible connectors and also enabled for the autologous bone harvesting trap.